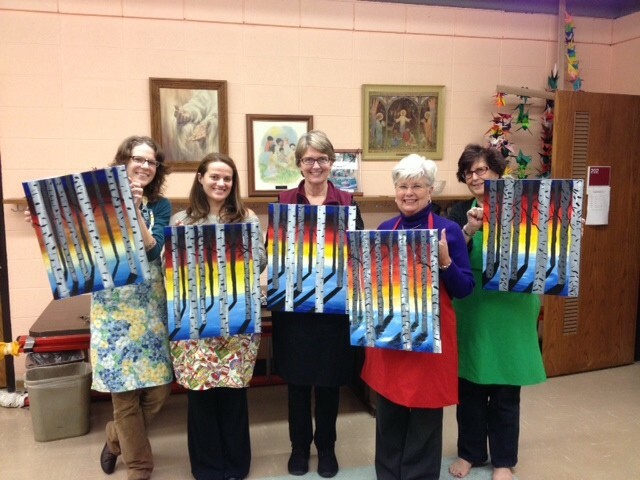 December's private painting party and their Winter's Light paintings! Great job Ladies! !